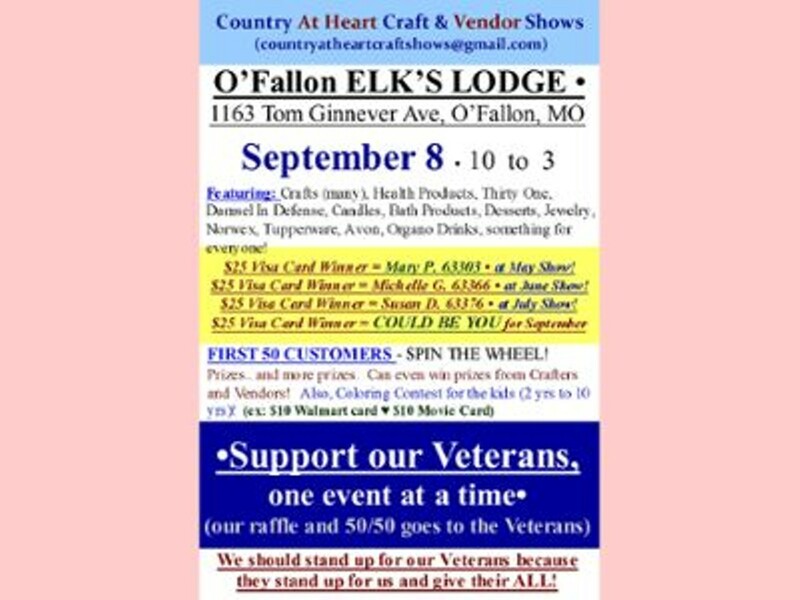 Featuring: Crafts (many), Health Products, Thirty One, Damsel In Defense, Candles, Bath Products (one is going on Shark Tank), Desserts, Jewelry, Norwex, Tupperware, Avon, Organo Drinks, Fashion (clothing, lips, nails, etc) Phone Cords, something for everyone! Prizes.. and more prizes. Can even win prizes from Crafters and Vendors! Also, Coloring Contest for the kids (2 yrs to 10 yrs)! 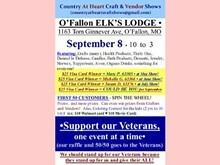 (ex: $10 Walmart card ♥ $10 Movie Card) COME OUT AND SUPPORT OUR VETERANS! Our Raffle & 50/50 goes to the Veterans! We should stand up for our Veterans because they stand up for us and give their ALL!